The living room is an area wherein members of the family have an opportunity to get together, watch movies, or just have a good chat. It is also a place where we entertain guests. That is why a cozy two or three-seater sofa is a must-have in a complete home. However, at times, especially if we do not have a spare room, it can also be used as a sleeping area for your guests. Most of us, if not all, would not want our guests to be sleeping on a mattress or sleeping bag placed on the floor. Hence, the best sleeper sofa or a sofa bed would be useful. When you decide to purchase a sleeper sofa, you must find one that provides great comfort for both sleeping and hanging out. It should also be beautiful and designed well so that it will not look out of place in the living room. You must also think about the size and evaluate its sturdiness. Indeed, the task is daunting. To help you, we will review three sofa sleepers that we consider as worthy investments. Based on the aforementioned characteristics, these three products are nothing but a great centerpiece for the perfect living room. Let us look into each of their features, pros, and cons. The DHP Premium Sofa Bed is a two-seater pull-out couch that has a classic European look. This is suitable for dorms, bachelor pads, small living rooms, and home offices. 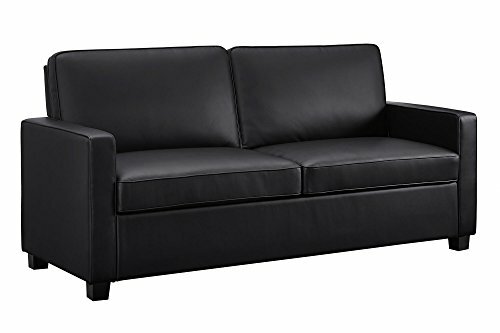 This sofa comes in two different models: vinyl gray and leather black. The black model has rounded edges, while the vinyl gray comes in sharp corners, which is a more fitting design by today’s standards. That being said, their other features are the same. As a sofa, it has a dimension of 45.5 (L) x 31 (W) x 35.5 (H) inches which is perfect enough to accommodate two individuals. On the other hand, the fold-out dimension is 45.5 (W) x 85.5 (D) x 35.5 (H), providing two people with plenty of room to rest without feeling uncomfortable. However, you must still take note of its maximum weight capacity, which is 400 pounds. This product is built with a frame that is made of solid wood, giving it a total weight of about 143.5 pounds. It also comes with a 72 (L) x 37.5 (W) x 3 (H) inches coil mattress that has a simple design. Signature Sleep Casey Faux Leather Sleeper Sofa comes in three different sizes which are twin, full, and queen. However, for the purposes of comparison, we will focus on the full-sized model. Its design is minimalistic, modern, elegant and compact. This fold-out sleeper sofa has a sturdy metal frame that can support up to 600 pounds of weight. When extended, it can hold up to 450 pounds, which is enough for two heavy and three slimmer individuals. It has a coiled cushioning that is enclosed in black faux leather upholstery. 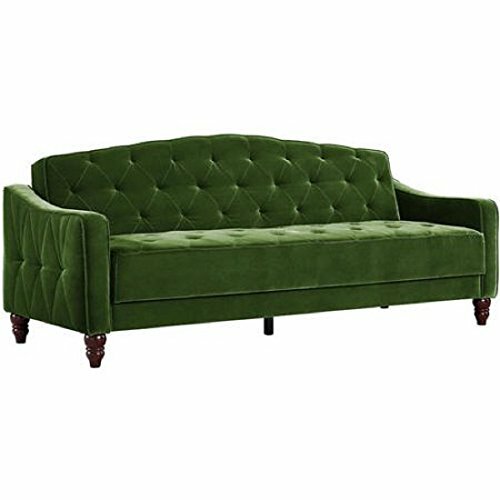 For people who are not into dark colors, this product is also available in gray color, but the upholstery is made of velvet fabric materials. The CertiPUR-US®-certified mattress memory foam that comes with the product is made of flame retardant materials. It is also free from harmful products like heavy metals, phthalates, and ozone depleters. In addition, it only emits VOC at a level of less than 0.5 PPM which means that it will not pollute your indoor air. On another note, the total height of the sofa, which is 35.5 inches is considered as not too high, so pets and children will find it very accessible. Setting up this product will not be a problem as well since Signature Sleep provides installation instructions both in print and video. This vintage-style couch is a wonder for every design enthusiast. It comes in five different colors which include green, gray, navy, pink, and taupe. It is also equipped with beautiful diamond tufting and velour case. This sofa can convert into a bed or lounge in just a few minutes, making it a great purchase for every host. 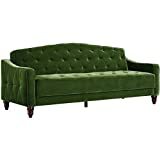 As a sofa and lounge, the size dimension of the product is at 33.5 (H) x 81.5 (W) x 34.5 (D) x inches. When made into a bed, the approximate measurement is 17.5 (H) x 81.5 (W) x 44 (D) x inches. 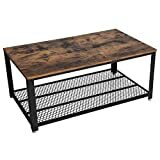 It has a frame that is built with a high-quality wood material that is designed to accommodate a maximum weight of 600 pounds in its sofa form. The upholstery is made of a velvet material that is stain-proof and water resistant while the legs are made of wood and have a dark, shiny brown finish and Victorian style. On the other hand, the mattress has a thickness of 7.5 inches. When you consider the design of the three products we reviewed above as well as the sturdiness of their frames, it’s quite hard to judge which of them is the best. So, typically, the final decision will be based on the consumer’s needs and wants. However, we have mentioned earlier that when shopping for the best sleeper sofa, it should meet three aspects—comfort, overall sturdiness, and design versatility. In that sense, the Novogratz Vintage-Style Tufted Sofa Sleeper II is the clear victor as it is wide and sturdy enough to hold three people with no issues. The product also brings a bit of uniqueness to the table with its nice, vintage look that can work for home or office interiors. Lastly, the firmness of the sofa bed makes it comfortable while still being durable.